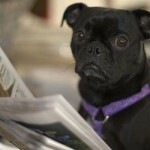 How Dogs Perceive Time | Woof Report | The best email newsletter for dog lovers. 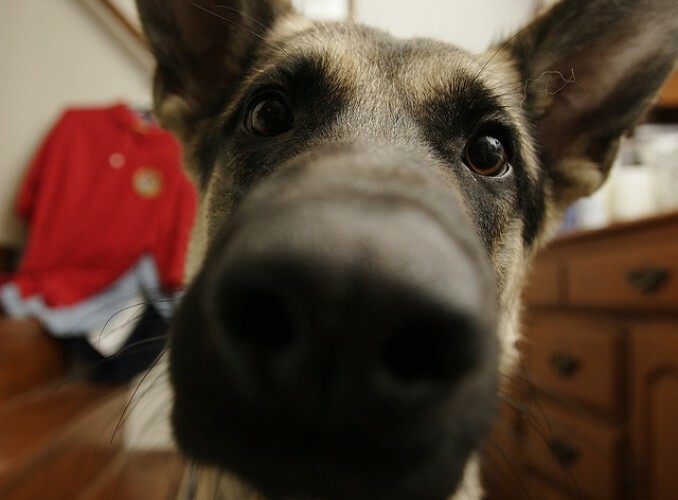 Have you ever wondered how dogs perceive time? 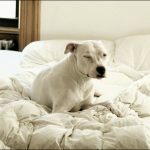 Like just about everything else, our lovable pets perceive time differently than we do, but exactly how much? You’d swear to it. Your dog can actually tell time. When the lunch hour rolls by, he’s ready at the bowl. When it’s time for a walk, there’s a leash at your feet. It’s as if your dog checked a tiny, little wristwatch buried under all that fur. It’s obvious. Dogs have some grasp of the passing of time. But how is it different from ours? One Woof Reader wrote in and asked, and we wondered the same thing. 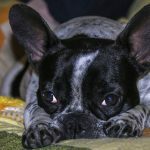 How do our dogs perceive time? Do they really know when we’ve been away all day versus an hour? And what’s with the joyful reunion whenever you step out of the bathroom? Theories abound on this subject of doggie time keeping. We’ve got the all facts from Jane McGrath. Here’s the gist from her riveting article for HowStuffWorks.com. 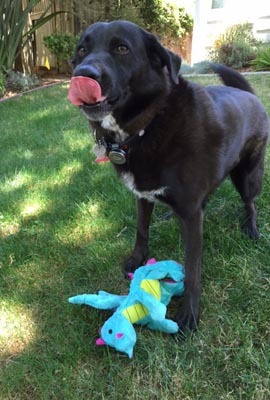 Roberts credits “internal biological rhythms” and suggests that your dog’s daily fluctuations of hormones, body temperature and neural activity cue his expectations for food, a trip to the park, or your arrival home. 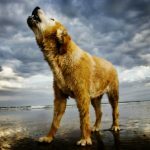 “Instead of remembering how much time passes between meals or what time meals are given, dogs react to a biological state they reach at a particular time of day,” says McGrath. 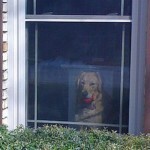 This may explain your dogs’ uncanny ability to wait at the door just before you pull in the driveway. Experiments show that animals may not have any concept of the past or future, and do not seem to anticipate future needs and rewards very well. While this suggests to researchers that they don’t have a concept of the future, our doggie friends know how to live. Without the baggage of hindsight or concerns for tomorrow, they exist blissfully in the moment. They don’t worry their fuzzy little heads with plans for future meals while devouring the entire bag of dog food. There’s no time like the present for our best friends. We should all be so lucky. Thank you to our Woof Report Friend Shane for the photo. Thank you to Michael and Hudson for the tip suggestion.